****If an assessment is required to diagnose an unknown issue and the device is required to be opened, a minimum charge of $39.95 will apply. Professional iPhone 4 screen repair. If you’ve tried to fix your iPhone 4 yourself but aren’t able to finish the job, we can help with that too. You break it, we fix it! The iPhone 4 is an iOS smartphone developed by Apple Inc. Following a number of notable leaks, the iPhone 4 was first unveiled on June 7, 2010 at Apple’s Worldwide Developers Conference in San Francisco. The iPhone 4 launched on June 24, 2010 and screens, power buttons, and batteries began breaking soon after. The parts across for these models are the same and most repairs can be fixed within 45-60 minutes. 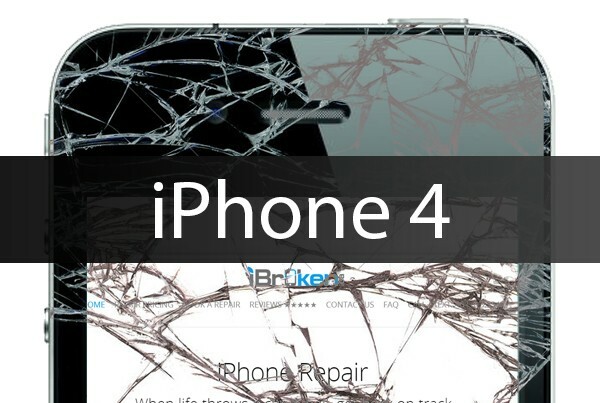 iBroken offers iPhone 4 screen replacements in just 45 minutes using original LCDs and flex cables. The iPhone 4 is also known to have poor battery life. iPhone 4 Battery replacements can be completed in about 20 minutes. iBroken also is easily able to replace the dock connector on the iPhone 4 in about 45 minutes. The Dock Connector on the 4 is the same component that regulates the charging, and the headphone jack. If your iPhone 4 has any issue pertaining to that listed above we can fix it. If your iPhone 4 Camera doesn’t open or is blurry you may need a new camera. iBroken can fix this as well. iBroken is dedicated to 100% customer satisfaction. Our highly trained technicians have spent countless hours bringing customers iPhone 4 back to life. This experience ensures that you iPhone 4 gets the best possible care that it deserves. Get your iPhone 4 repaired in Calgary today!